The Jamaica Ottawa Community Association (JOCA) marked the country’s 56th independence day anniversary with a Jamaican flag raising ceremony at City Hall last Monday. 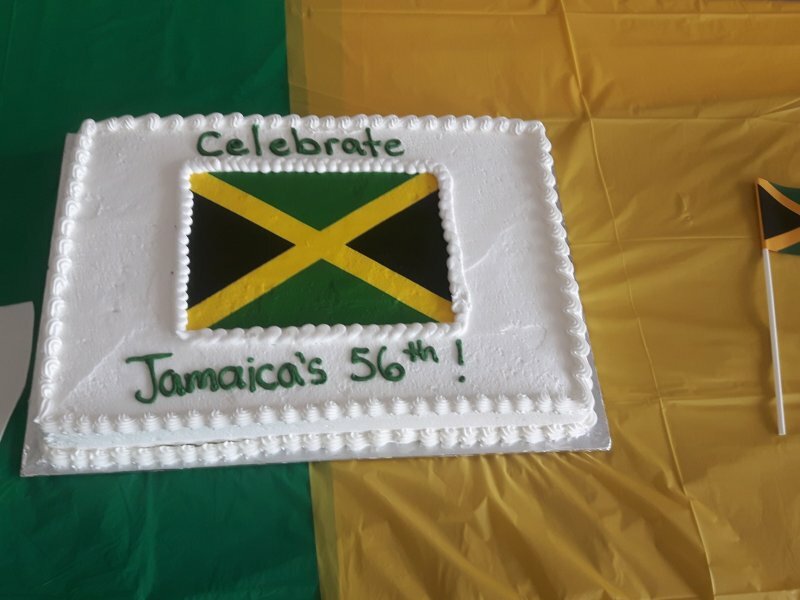 The theme for the celebration was: Jamaica 56 One Love One Family. 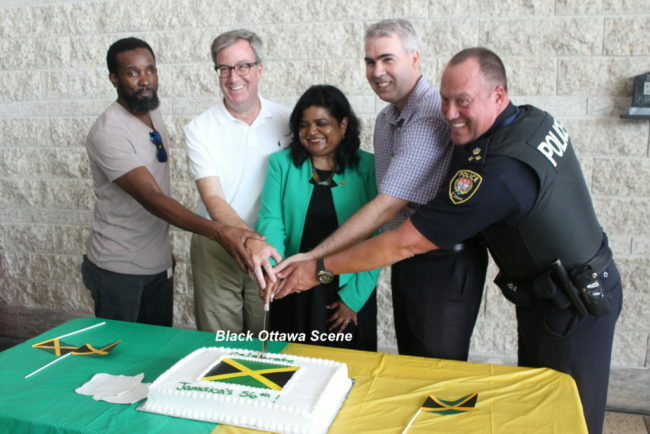 Mayor Jim Watson, Jamaican High Commissioner to Canada Janice Miller, Councilor Riley Brockington and Acting Ottawa Deputy Police Chief Chris Rheaume were among the honoured guests, along with about 100 people of Jamaican descent, their families and friends. Mayor Watson acknowledged the contribution of the Jamaican community to the development of a diversity-friendly city, while Her Excellency Janice Miller described the immense strides the country has made in the areas of economic growth, human rights and international cooperation. MC for the event was Ewart Walters, former editor and publisher of the Spectrum newspaper and holder of the Order of Ottawa, among numerous other accolades.